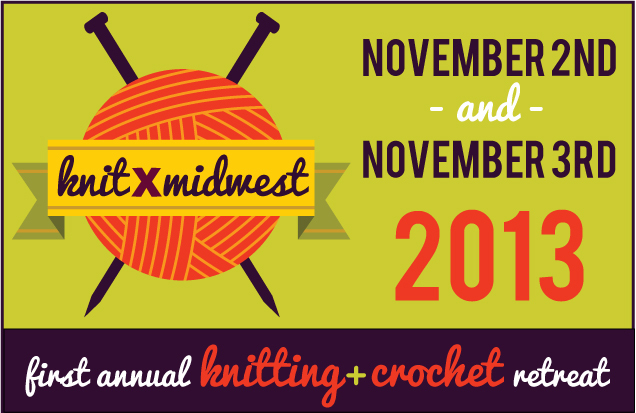 hey jen renee: knitXmidwest: a knitting retreat! So, this is exciting. In coalition with my local yarn shop, Hill Vintage and Knits, I am super happy to announce knitXmidwest, our first annual knitting and crochet retreat. It's going to be amazing. It's happening this fall, right here in lovely Des Moines. And you're invited. Spaces are limited and reserved upon payment. Click here to register online now or call 515-288-CATS! Very exciting! I wish I lived closer! OH man... I am so tempted! now that sounds like fun, wish i was closer! Yay! We needed this. Thanks for organizing - I'm attending!